Did you know that the fine print in many nursing home admissions contracts deprives residents of their constitutional rights, making their stay more dangerous? Anyone who has been through the admissions process knows how incredibly stressful it can be. Unfortunately, many admission contracts slip in a provision known as forced arbitration, of which many families and seniors are completely unaware. Forced arbitration blocks seniors from accessing the court system, even in instances of severe neglect, serious injury, sexual and physical abuse, or death. These clauses mandate that the victim use private, biased arbitration forums where the decisions are often made by arbitration firms handpicked by the wrongdoer with no right to appeal, no accountability, and no transparency. Without this accountability, senior safety is compromised. For more information on this growing national crisis, see this report from the American Association for Justice. Your help is needed to send a strong message to nursing homes and assisted living facilities that you care about and support our senior citizens. Please click the link below and sign the pledge to limit forced arbitration and make the lives of our seniors safer. 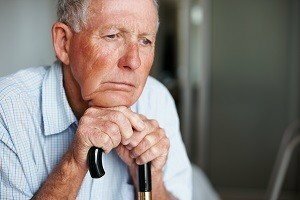 If your loved one has been the victim of abuse in a nursing home, contact a NH nursing home injuries attorney at the Law Office of Manning & Zimmerman, PLLC for a free consultation. Please sign up for our monthly newsletter, Let America Know, that will help to keep you on top of issues that could affect your health, safety and legal rights. Please see below for important information on the 3 stages of a personal injury case from the NH personal injury attorneys at the Law Office of Manning & Zimmerman, PLLC. Manning & Zimmerman: Do You Know What Hazards are in Your Home? All of us use hazardous substances in our homes. To prevent accidental poisoning or exposure, it is important that we recognize these hazards and store these products safely. Check out these helpful resources and tips from Manning & Zimmerman in this issue of You Should Know. Caution – School is in Session! * Slow down. There are speed limits in school zones for a reason! * Always come to a complete stop and check carefully for children. * Taking your eyes off the road for just two seconds doubles your chances of crashing! * Check for children on the sidewalk, in the driveway and around your vehicle before slowly backing up. * Watch for children riding on bicycles. * Talk to your teen driver(s) about safe driving. Common cleaners are the number two cause of dangerous exposures in the United States. Common cleaners are the number two cause of dangerous exposures in the United States. 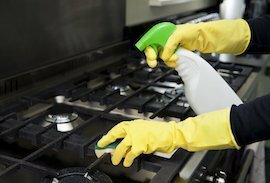 As more chemicals are used in our homes and workplaces, it is important to know what substances are dangerous and how to avoid contamination. According to the American Association of Poison Control Centers, pain medication, cosmetic and personal care items, and household cleaners were the substances most frequently involved in human exposures. The good news is that government regulators and private retail chains are helping to limit what gets used in the products we encounter daily. In 2013, both Wal-Mart and Target, two of the world’s largest retailers, announced ambitious sustainability plans. Both companies plan to bring increased transparency to the ingredients used in products and called for a reduction in especially harmful chemicals used in the products they sell. While the plans were aimed more generally at sustainability and reducing negative environmental impacts, both set strict guidelines for safer products. The U.S. government has also joined the fight against hazardous chemicals and misleading ingredient labels. In early June, the U.S. House Committee on Energy & Commerce approved HR 2576, a bill that would expand the Toxic Substance Control Act of 1976 and allow the EPA to test for and regulate hazardous substances in consumer goods and products. The bill, if passed, would also allow the EPA to evaluate substances for unreasonably risky ingredients. It would also limit any state or local government’s power in regulating a chemical substance that the EPA has determined safe under its intended uses. While the government and private businesses work to make consumer goods safer, it is still important to always use caution when dealing with potentially dangerous chemicals. In 2013 the Center for Disease Control reported that there were 38,851 unintentional poisoning deaths that year alone. Never mix chemicals when cleaning, and always wear gloves and wash your hands thoroughly. Dangerous products are not limited just to cleaning supplies; others come in the form of carbon monoxide, lead paints, asbestos and other harmful building supplies, as well as cosmetics and lawn care products. To avoid these dangers, use carbon monoxide alarms, always have an inspector walk through and test any new building that you may be considering purchasing, and take extreme caution when using fertilizers and pesticides. Store cleaners and other dangerous substances in a well-ventilated area. Store cleaners and dangerous substances in a well-ventilated area. Always read and follow label instructions on proper storage. If you are ever exposed to a dangerous chemical or have a question about a product or ingredient, call the Poison Control Center Hotline 24/7 at 1-800-222-1222. 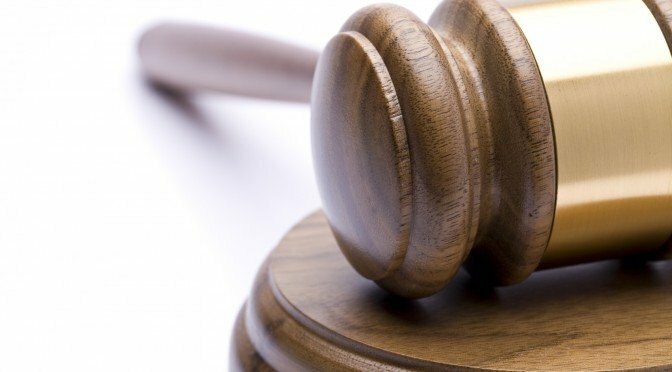 And the winner of the 2015 Justice Served award is… Click below to find out, see the survey results and browse AWESOME reader comments. 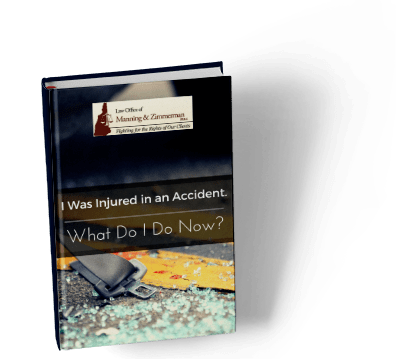 While still receiving medical treatment and trying to recover from their injuries, personal injury victims commonly find themselves bombarded with questions and paperwork from insurance companies. Injury victims are confused and overwhelmed by all the questions about their accident. No one, however, seems able to provide the information most important to you. If you’ve been hurt in an accident, a NH personal injury attorney can help you with what to do next. A personal injury is harm sustained to the body as a result of another’s negligent or intentional conduct, such as injuries sustained in an automobile accident or an assault. If you have suffered a personal injury, regardless of how it occurred, you may be entitled to compensation for your injuries. You can take an active role in your lawsuit by recording and documenting your injuries and resulting symptoms in a log or diary. The Law Office of Manning & Zimmerman and its Manchester personal injury attorneys offers the following recommendations and information regarding your diary. What Is a Symptom Diary? A symptom diary is a record or log maintained by an injured party that documents physical and other manifestations resulting from a personal injury incident. Our firm’s highly-experienced Manchester personal injury attorneys recommend you maintain a diary in whatever format is easiest for you, either manual, electronic, or otherwise, in a diary, calendar, spread sheet, or other format of your choice. Your diary should contain dates, symptoms experienced, and details of those symptoms. Such details may include the location of the symptom, the degree or intensity, duration, and any resulting limitations such as inability to work, exercise, or perform other daily activities. Also record how the physical symptoms affect you mentally and emotionally, e.g. depressed and/or frustrated. Why Maintain a Symptom Diary? 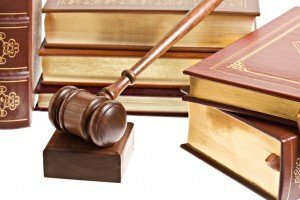 A symptom diary can be tremendously advantageous in litigating your personal injury action. 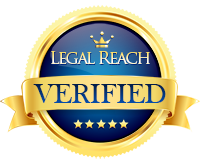 During litigation, you will be required to respond under oath to highly-detailed questions regarding your injuries. A symptom diary will aid you in answering those questions precisely and accurately. Symptom diaries are credible, powerful, and persuasive evidence that are admissible in court and other legal proceedings, which facilitate a successful result and monetary award or settlement. If you sustained personal injuries, your first priority is seeking medical treatment. Once you have sought treatment, consult with a Manchester personal injury lawyer regarding a potential lawsuit to pursue the compensation to which you may be entitled. We will counsel you regarding all aspects of your case, including how to maintain a symptom diary that will maximize your compensation. Please contact The Law Office of Manning & Zimmerman, Manchester personal injury attorneys, at (603) 624-7200. 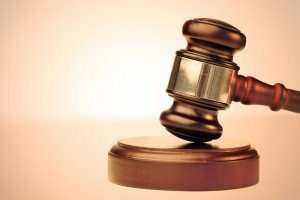 While a Manchester divorce lawyer at the Law Office of Manning & Zimmerman PLLC can help spouses prepare for the journey ahead, many times clients adversely affect their own case. Some of the common mistakes that spouses make during the divorce are outlined below and in the following video. Before a spouse decides to get a divorce, he or she should meet with a Manchester divorce lawyer. While this may make the spouse feel disloyal, it is important that he or she takes certain steps to prepare for the upcoming divorce. There are certain financial moves that he or she can make and certain documents that he or she can gather that will make the divorce process easier and less expensive. Divorce is an emotionally-wrought time. Feelings of disloyalty, heartbreak, and bitterness can easily arise. This may cause spouses to fight over every potential issue in the divorce, from who will get what asset to how the children should be raised. In many divorces, if the spouses can find a way to cooperate, it is easier and less expensive for both of them, not to mention the children. However, spouses also need to be aware that they are technically adversaries in an upcoming legal proceeding. Sometimes a spouse may trust the other spouse too much and divulge information that can later be used against him or her in the proceedings. A Manchester divorce lawyer at the Law Office of Manning & Zimmerman PLLC can help explain what type of information a spouse can share with the other spouse and what type of information should remain a confidential discussion between attorney and client. If you have questions about other mistakes that are commonly made in a divorce, watch the following video, then contact a Manchester divorce lawyer at the Law Office of Manning & Zimmerman PLLC at (603) 624-7200 to schedule a confidential consultation. In your personal injury case, you might be required to participate in a deposition, and your Manchester personal injury lawyer at the Law Office of Manning & Zimmerman, PLLC will work with you so that you are prepared. Both prior to and during the inquiry, it is important for you to remember that how you answer the questions asked of you will affect how your case will be ultimately valued. The other lawyer will be trying to see how likable a jury will find you and discover any holes in your case they can attack. The following will help you prepare. There are several things that you should do prior to your deposition date. If you were sent interrogatories, you should read through your responses. It is important for you to take time to think about all of the ways your injuries have impacted your life. Additionally, you should review the list of medical professionals you saw for your injuries in chronological order, so that your testimony will be very clear. Prior to your deposition, you should discuss how your loss of income has affected you, including the amounts you have lost. Lastly, you should give some thoughts about how your injuries have impacted your life, both at work and at home. 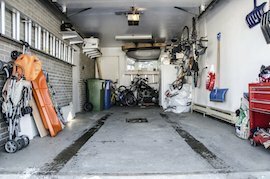 It may be a good idea for you to draw out a diagram of the accident scene as well, but you should review this with your attorney. You should dress professionally for the deposition. Answer truthfully and get straight to the point. Do not get angry and remain calm. Never exaggerate or minimize your injuries. Just say you don’t remember if you don’t. Never interrupt, and if the attorney makes assumptions that are wrong, correct them. Similarly, listen for incorrect paraphrasing of your answers and correct those. Never guess about speed, distances, and lighting. If asked, let the insurance lawyer know about any pre-existing injuries. Depositions can seem like a frightening prospect. With careful preparation, you can be ready and make the experience a smoother one. To speak with a Manchester personal injury lawyer, call the Law Office of Manning & Zimmerman, PLLC at (603) 624-7200.